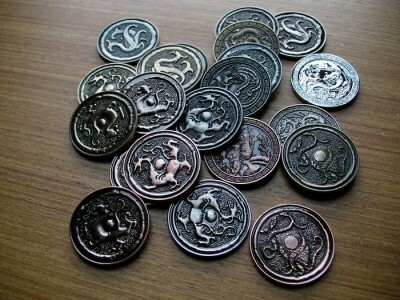 4am added far-eastern themed fantasy coins to their Dragoneye Tavern Kickstarter campaign. In their newest project, they are also allowing people to purchase their fantasy coins with the Eastern Flavour designs from their first project! The coins can be purchased by itself without needing to purchase the game!